Guided tours of the Grand Ole Opry House offer visitors an up-close look at the celebrated 4,400-seat venue and country’s most famous show, including themed dressing rooms, the artists’ entrance, the Opry stage, and more. Daytime tours are available seven days a week featuring Blake Shelton as your video tour guide. 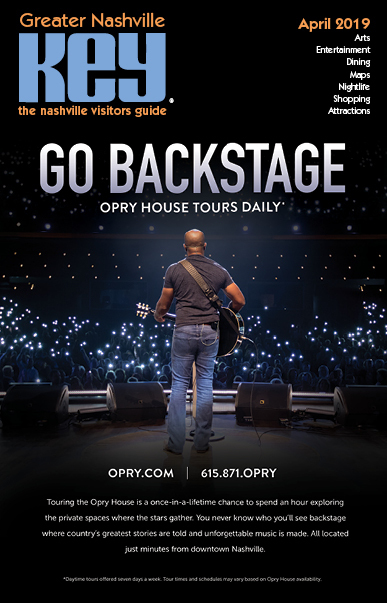 Tours are also available following most Opry performances with video tour guide Darius Rucker. For a once-in-a-lifetime experience, try our Behind the Curtain VIP tour. For more information, visit opry.com or call (615) 871-OPRY. Music City ~ a city in motion. Exuding the charm, warmth & promise of a small town. Presenting a huge diversity of musical genres!